This Property is 100 Pct. Non-Smoking. 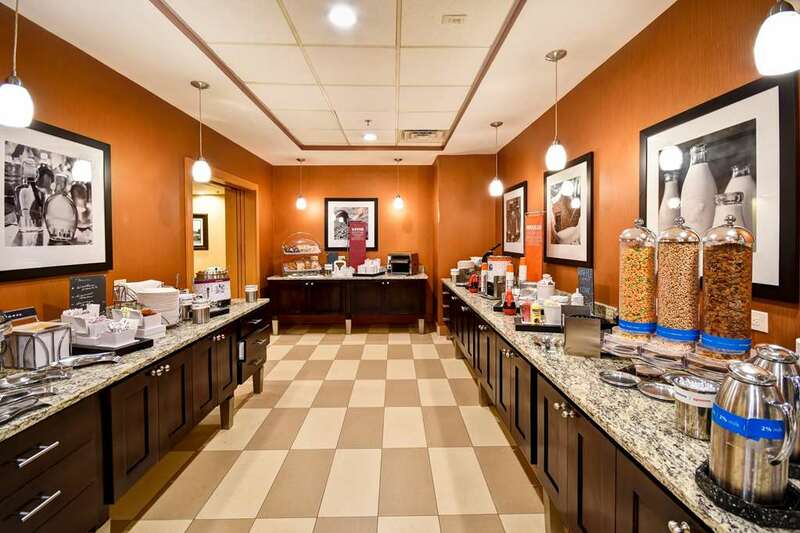 The Hampton Inn Chicopee/Springfield hotel is located at the Crossroads of New England only minutes from Springfield with easy access from both the Massachusetts Turnpike and I-91. This upscale hotel was built with attention to detail with granite countertops fireplace and water fountain just as you enter the oversized lobby. Our Massachusetts hotel is also a great spot for your leisure travel. We offer an indoor pool whirlpool tub fitness center and sundeck and are conveniently located near Six Flags New England Basketball Hall of Fame The Eastern States Exposition Center /The Big E/ Yankee Candle Magic Wings Butterfly and the Dr. Seuss Museum. For corporate guests the Hampton Inn Chicopee/Springfield hotel offers complimentary wireless Internet access in the lobby area and have 2 400 square feet of banquet space for your meeting needs. Every guest is certain to enjoy our *Yankee Hospitality*. We love having you here at the Hampton Inn Chicopee hotel in Massachusetts. Hu Ke Lau: A premier full-service facility offering award-winning Polynesian dining and shows national touring comedians and the best in local and regional live music.